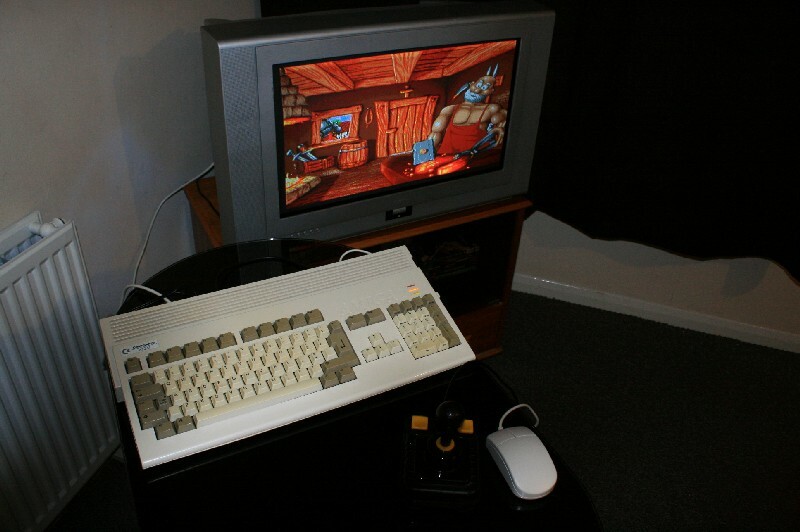 Indie Retro News: Happy 30th Birthday Commodore Amiga and Atari ST! Happy 30th Birthday Commodore Amiga and Atari ST! 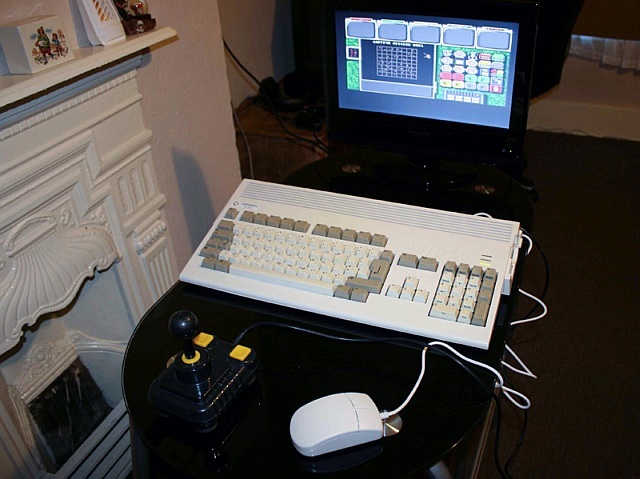 It's a time to light those candles upon that tasty cake, as both the Commodore Amiga and the Atari ST are celebrating their 30th anniversary. That's right, it's 30 years to this day that the Amiga was launched, and last month it was the Atari ST! It's amazing to think that when I was a child all I wanted was an Atari ST, and the best thing in the world was to happen, I got an Amiga 500. A gaming system that I personally spent so many hours playing, with entire summers having gone in a flash and it was back to school. With games such as Deuteros, Dragons Breath, Shadow of the Beast, Moonstone, Eye of the Beholder, Millenium 2.2 all of them fantastic and that was just a small taster of the incredible releases that came out in the 90's! I even had friends that actually came round and played games such as Settlers or dualing it up on Lotus, even now when I pick up a box those memories coming flooding back! For those that didn't have an Amiga I had a chance to play the Atari ST at my friends house and to be honest I hold no grudge against either system, however much people still have their hate of it to this day. But yet this isn't a time to fight, this is a time to celebrate, just check out all those fantastic games on both systems. Such an amazing time! From the Amiga 1000, to the Amiga 4000T, from the Atari ST to the Atari STE, it was a grand time indeed. Yet even now sitting right next to me is my Amiga 1200, a system that has lasted all these years but modified with the latest CF card full of Amiga games and an accelerator helping to power the latest OS! But this isn't just a time to look at the past and wonder what could've been after Commodore filed for bankruptcy in 1994. But a time to also mention how incredible these last few years have been, as we've seen new homebrew releases such as Solomon's Key 2, to Puzcat, and even Equality from Scoopex and new emulator releases from Toni Wilen, with WinUAE. But that's not all, as The Company.PL have been pushing out loads of Amiga games all fixed up to run on the PC, and we've had Kickstarters such as The Commodore Amiga: a visual Commpendium book and a New A1200 Computer Housing Project - A fantastic new Amiga case Kickstarter! So to finish this all off, a massive Happy Birthday to the Amiga and to the Atari ST, and also a huge thank you to Commodore for making my childhood a joy! 3) New A1200 Computer Housing Project - A fantastic new Amiga case Kickstarter!